Since 2007 we have offered effective gutter system installation and gutter guard upgrades that properly mitigate rain water and naturally intigrate protection from leaf fall. As a certified contractor from Angie's List, BBB, and Home Advisor, Advantage Home Exteriors continues to assist homeowners with the necessary services and expertise for reliable gutter replacements in Nottingham, MD. Nottingham is an unincorporated community in Baltimore County, Maryland, United States. Its elevation is 62 feet above sea level (Wikipedia). 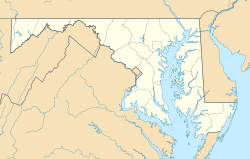 Nottingham being located in Maryland means it experiences natural cold climate and precipitation being near the appalachian mountains; thus the precipitation creates more rain weather and snow. As Nottingham gets hit with heavy rains, it's proximity to the coast also creates very moist air which leads to fog and more rain. It is because of this that our city gets 40.89 inches of rain per year, making homes vulnerable to water damage. This is why our company offers state-of-the-art gutter technology that will properly mitigate the overflow of rain while protecting your gutters from leaf clogs. Work requested: 5" white gutters and soffit installation. I was very impressed. They were polite and competent. Our gutter was replaced in the same day we contracted them.